Almost every diamond displays tiny ‘birthmarks’, called inclusions, which occur naturally when the diamond was formed deep within the earth. These inclusions act as nature’s fingerprint and give each diamond its unique character. Did you know that the number, size, colour, location, orientation, and visibility of inclusions can all affect the clarity of a diamond? This forms part of the 4Cs (colour, cut, clarity and carat weight). 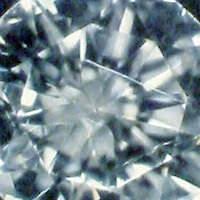 While most diamonds are valued and admired for their perfection and high clarity, some diamonds are treasured for their unique inclusions. For example, this 0.51 carat rectangular natural fancy yellow diamond has a very unique inclusion in the form of fish-like scales. This effect is known as pareidolia and is a geologic wonder. A hazy or milky area in a diamond that consists of very tiny included crystals or impurities. Minute, hair-like cleavages or fractures may expand into the diamond from the girdle. Fine lines that may be visible in the stone. 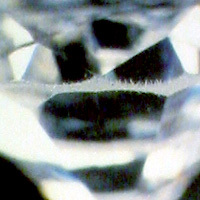 A crack or separation along the grain of a diamond. A break that does not follow the grain of a diamond and has an irregular step like appearance. How do inclusions affect a diamond? 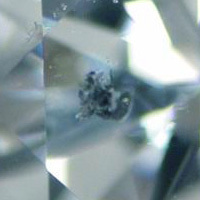 Most inclusions in diamonds do not affect the diamonds’ performance, but rather its beauty if the inclusions are very noticeable with the naked eye. 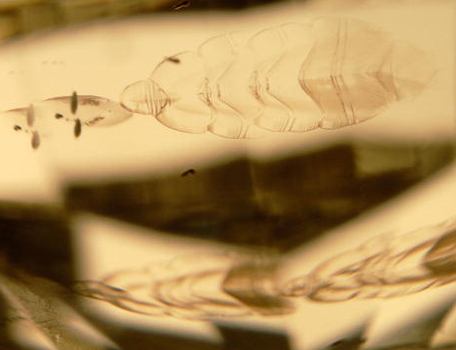 Size of the inclusion – the less visible, the less it will affect the clarity grade. Number of inclusions – the more inclusions, the lower the clarity grade. Position of the inclusions – an inclusion seen through the table will result in a lower. 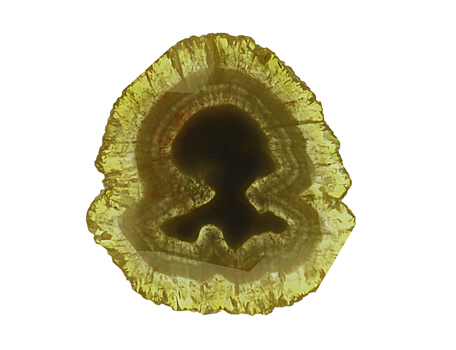 Type of inclusion – certain inclusions (such as cleavages) affect the durability of a stone, which means it will get a lower grade. Colour of inclusion – the darker the inclusion, the easier it is to see and the lower the clarity grade. Most inclusions are very small, so you won’t see them by looking at them with your naked eye. 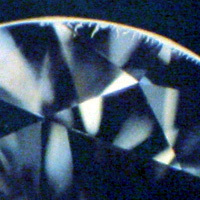 They would be examined under a 10x magnifying loupe to determine the clarity of the diamond. When choosing a diamond, we recommend selecting a clarity grade in which the inclusions are not visible to the naked eye (i.e. a clarity grade of SI2 and up). Does your diamond have inclusions? You can check by looking at your diamond grading certificate. This natural fancy yellow diamond is treasured for its inclusion in the shape of a woman’s portrait, visible from both side of the faceted, flat diamond. No bigger than the size of a R5 coin, this unique 4.76 carat diamond is currently on display at the Cape Town Diamond Museum.